Polaroid cameras still get a bit of love even now, despite the age of the technology. You can’t help but love instant pictures no matter where you’re at. Well this concept design taps into that just a little. 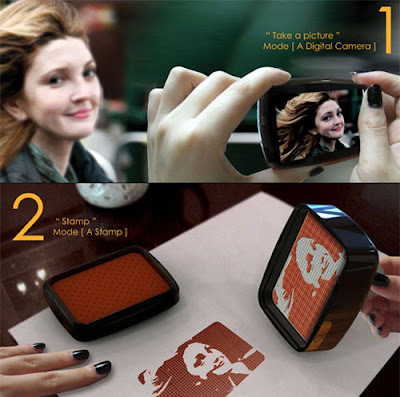 It gives you instant pictures, but in a very different way. Instead of printing out pictures, it just gives you a stamp to use on random bits of paper. With this instead of getting black and white you’ll get red and white. Now I doubt that this would ever get to the point where it has near as much of a cult following as Polaroids, but it is an interesting new idea at the very least. Stamp.y is a concept by Jinhee Kim, so it’s obviously still not up for sale.